Apple is developing a new app that combines Find My iPhone and Find My Friends into a single package, according to 9to5Mac's Guilherme Rambo. The report cites sources familiar with ongoing testing of the app. In addition to existing Find My iPhone features like Lost Mode and the ability to remotely erase a device, the report claims the new unified app includes a new "find network" feature that allows Apple devices to be tracked even when they are not connected to a Wi-Fi or cellular network. The app would also incorporate existing Find My Friends features, including location sharing and location-based notifications from friends and family. The report claims the app will be available on both iOS and macOS as part of Apple's so-called "Marzipan" cross-platform initiative. The app could presumably debut in iOS 13, which will be previewed at WWDC in June, but no timeframe is provided. It is allegedly codenamed "GreenTorch" internally. Rambo also reports that Apple is working on a new hardware product in the form of a "tag" that can be attached to any item, similar to Tile. The tag would be paired to a user's iCloud account and rely on proximity to an iPhone. Like the Tile, users would be able to receive notifications when their device gets too far away from the tag. To avoid false triggers, it would be possible to set a list of common locations to be ignored like a work office so that the item can be left at those locations without the user being notified. The report adds that users will also be able to store their contact information in the tag and receive a notification when it is found. 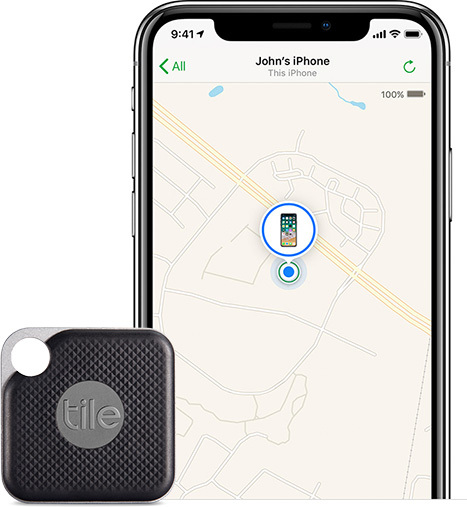 Apple may leverage its hundreds of millions of active devices to create a crowdsourced network that helps its users find any lost item in tandem with this product. No release timeframe was provided for Apple's product tracker, but perhaps it will show up alongside new iPhones in September. Hey Siri find my friends. Why doesn't Apple do what they usually do? Buy out the company, (tile) rebrand and stick 40% on top for the new price? Better a dog tag than a dog chain, as [USER=256215]@AngerDanger[/USER] will attest. Au contraire, Mr. Anxiety; the others and I love our chains! We only ask that, perhaps if your benevolence finds it appropriate, the chains be extended from a generous two meters to… say, two-and-a-half? Please? That's cool. My wife and I use the hell out of Tiles for car keys, motorcycle keys, etc. I'll stick em on my kids! I’ve been hoping (and submitted a useless feature request) that the Apple Watch could send a notification when it disconnects from its iPhone when its not on its home or work network. Dog tags for Humans?? Well then.